Isabel Losada has worked as an actress, singer, broadcaster and full-time single parent. 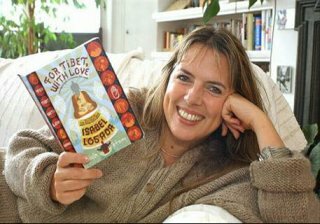 She is the author of several books including 'For Tibet With Love' in which she explores whether it is possible for an ordinary person to change the world, just a little, and if something so serious can be achieved with joy in one's heart. "The work I do - no matter how varied - is about happiness, joy, living life to the full, taking risks and all that. Oh, and that one that I've resisted hugely: taking personal responsibility". 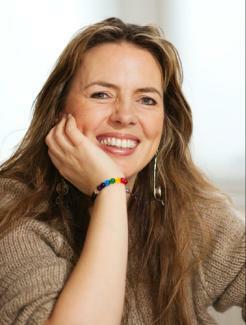 Isabel is the inspiration behind the organisation Act For Tibet (www.actfortibet.org). In 2003, Isabel organised a daring stunt which involved hanging a fifteen metre banner of His Holiness the Dalai Lama from Nelson's Column in Trafalgar Square, London. A professional stunt man parachuted from the top ensuring that newspapers across the world picked up the picture. This is the banner that was hung from Nelson's Column. One her website, Isabel says, "Some of the things I would like to explore are: changing the world, indiscriminate acts of kindness, The 'pay it forward' concept as explored in the film of that name, grass roots support for Tibet, creative campaigning on behalf of one particular political prisoner, and a million other projects that we haven't discovered yet. I also aim to recommend books and exceptional people I love and projects that I think are valuable". Pam Evans has been an admirer of the Dalai Lama's for many years. She also supports all peaceful campaigns for the Tibetan cause. After reading Isabel's inspirational book, she wrote to her and told her about the Peace Mala. This was Isabel's reply. Yes I LOVE the Peace Mala - what a cool and brilliant idea. Gosh the potential is huge. I hope these Mala's get picked up by all the interfaith groups and by schools with enlightened RE teachers and by churches - the works. I hope that as well as spreading peace and understanding you end up a millionaire too. I'd be happy to endorse the Peace Mala of course. Send me one and I'll get some friend to take a picture of me wearing one and we'll see if we can be clever and send it back to you by some electronic form. The most simple ideas are always the best aren't they? Fantastic. Glad you enjoyed the book too. Pam was delighted with Isabel's response but pointed out that she has no intention of becoming a millionaire. All monies raised from Peace Malas go back into the project to promote peace and tolerance throughout the world.